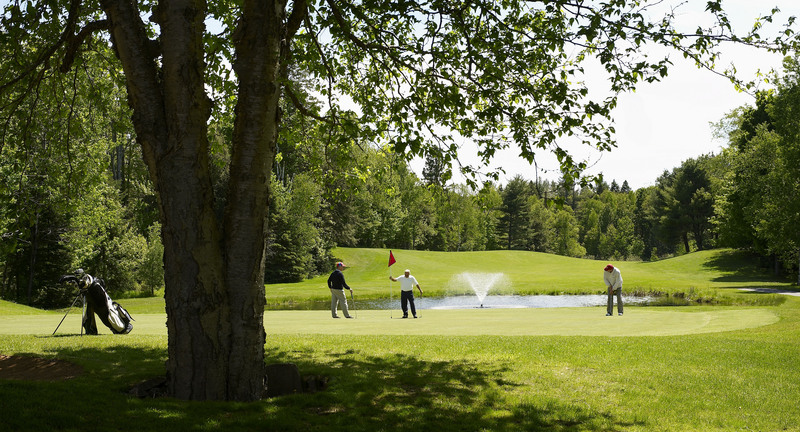 Deerhurst Resort | Go Resorting! For central Ontario, Blue Mountain Resort near Collingwood is an excellent choice for those looking to get that Ski Village feel offered out west. The village offers a variety of restaurants and nightlife opportunities to keep your energy pumping long after you have left the hills for the day. The resort offers an outdoor heated pool which is always fun on a winter’s day. Horseshoe Resort outside of Barrie and Orillia has been working hard at updating their Terrain Park and is a great place with options of staying at Horseshoe or Carriage Ridge Resort. Further down the road is Mount. St. Louis Moonstone which is just a quick drive from Christie’s Mill Inn and Spa and Muskey’s Landing. There’s no better time than now to book a girlfriends’ getaway at Resorts of Ontario. From November to mid- December, occupancy rates are lower and prices can’t be beat. Add fine wine, delicious food and a spa date to the mix and you can see why getting away with the girls at this time of year is so popular. Just look at Deerhurst Resort and the town of Huntsville in Muskoka. Their Girlfriends’ Getaway Weekend, November 13-15, 2009, has already sold out but I called the resort today and rooms are still available. Entertaining workshops include a Renovate my Wardrobe at Deerhurst and a Style by Jury fashion show in downtown Huntsville. There’s also Wine Tasting with Ann Martin, a Natural Beauty Show with wine and tapas served, and morning Vinyasa yoga classes. 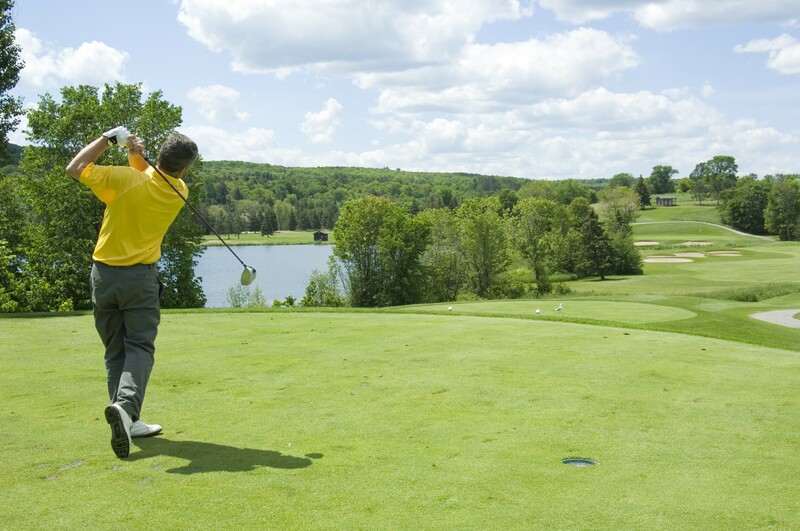 To book, call Deerhurst’s toll-free line at 1-800-461-4393. Last winter, I had the pleasure of visiting Brookstreet in Ottawa. Owned by billionaire Sir Terry Matthews, this place has all the ingredients for a great urban getaway for girls – luxurious accommodation, a gorgeous spa, four-diamond cuisine and outstanding fitness facilities. And because Ottawa is Canada’s Capital, the Brookstreet getaway could be combined with visits to national treasures like the National Gallery of Canada and the Canadian Museum of Civilization. I checked Brookstreet’s website and found its Boy-Free package is available Monday through Saturday until December 20th. Priced from $215 per person, based on double occupancy, the one-night package includes deluxe accommodation, a Table d’Hote dinner in Perspectives, its four-diamond restaurant, a $90 spa credit, an in-room movie, breakfast, plus complimentary indoor parking. A mom told me that she and her girlfriends love booking a spa date at Hockley Valley Resort while their kids take a ski lesson at the resort’s ski hill. The spa lounge overlooks the hill so the moms hang out in terry robes sipping hot tea while watching the kids ski. For a spa date without the kids, Hockley’s Spontaneous Spa getaway is a one night package priced per room at $433, double occupancy. Besides accommodation, each gal receives a $75 spa credit, three-course a la carte dinner, and a full breakfast. For the ultimate private spa party however, consider this: Hockley Valley will let you and a group of friends book its entire spa after hours for a three hour date. Minimum group size is required and a surcharge is applied. Contact the resort directly for details. In the Kawartha Lakes region near Peterborough, Ontario, Viamede Resort is celebrating its 100th anniversary. The resort which is on Stony Lake, two hours from Toronto and three hours from Ottawa, has special anniversary deals that include a Girls Just Wanna Have Fun two-night weekend. For $250 per person, choose either a winterized cottage or deluxe room accommodation with fireplace and whirlpool bath, depending on the size of your group. Breakfast, a 1/2 hour aromatherapy massage and a further $75 spa credit are included. Elmhirst’s which we blogged about last week is another Peterborough-area resort. It has a Wild Women’s Weekend planned for November 13-15, 2009. Four women can share a winterized cottage for $249 per person with meals included. Cottages include woodburning fireplaces and fully equipped kitchens. Spa services are available at the resort which has an indoor pool, sauna and hot tub. Girlfriend getaways at the Inn at Christie’s Mill start at $197.50 per person (double occupancy) for one night of accommodation, dinner and breakfast, plus a $100 spa credit and beverage of your choice to enjoy with your spa treatment. This inn is on Gloucester Pool near Georgian Bay, just an hour and a half drive north of Toronto. It has a three-bedroom winterized cottage also available for larger groups. Travel writer Ken Bagnell recently wrote about his stay here for SUN Media. It’s going to be a big weekend of hanging out at a fabulous resort, eating and drinking really good stuff (and lots of it) and trying to spot the occasional celebrity. (I saw Martin Short there once). The executive chef at Deerhurst Resort, Chef Rory Golden, has cooked up Thrill Of The Grill, a new celebrity event to promote the resort and some of the best products from Muskoka and Ontario farmers, wineries and breweries. This weekend, July 3-5, 2009, the Muskoka Food & Drink Festival at Deerhurst will be featuring Food Network Canada Chef Rob Rainford. It’s all part of a package (details below) which will cost you and a friend about $800 for the weekend, but, for the price of a donation to the Ontario Association of Food Banks, everyone is invited to the Gourmet Griller Marketplace on Sunday afternoon, July 5, from 11:00 to 3:00pm. This will include at least one workshop, likely all about ribs, with barbecue champ Danielle “Diva Q” Dimovski. Thrill of the Grill is a new package at Deerhurst, and the most extensive in a series of seasonal gourmet getaway weekends. In addition to accommodation it includes a casual Friday reception featuring sampling stations with chef Brian Morin from Toronto’s Beer Bistro and Big Rock beer, Saturday breakfast, admission to the Saturday afternoon Gourmet Griller Marketplace with vendors’ sampling, Saturday night’s dinner/wine pairing event with Rob Rainford, and silent auction, followed by access to a post-dinner campfire, and Deerhurst’s famously lavish Sunday brunch. Rate: Two night package, from $399 per night, based on two adults. Check out the Ontario Culinary Tourism Alliance for info on this and other foodie events. 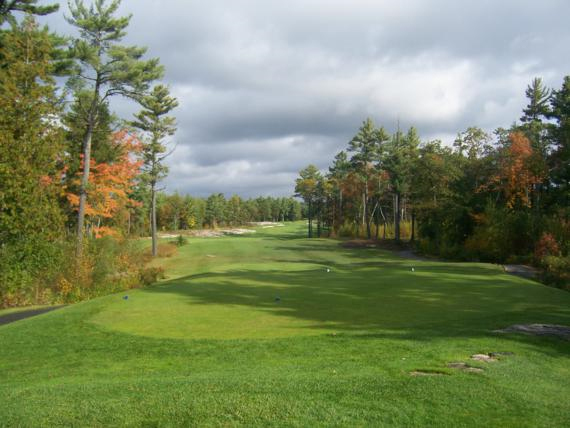 Pine Vista Resort in the Kawartha Lakes, is partnering with Wildfire this year, a new McBroom-designed course just five minutes away. 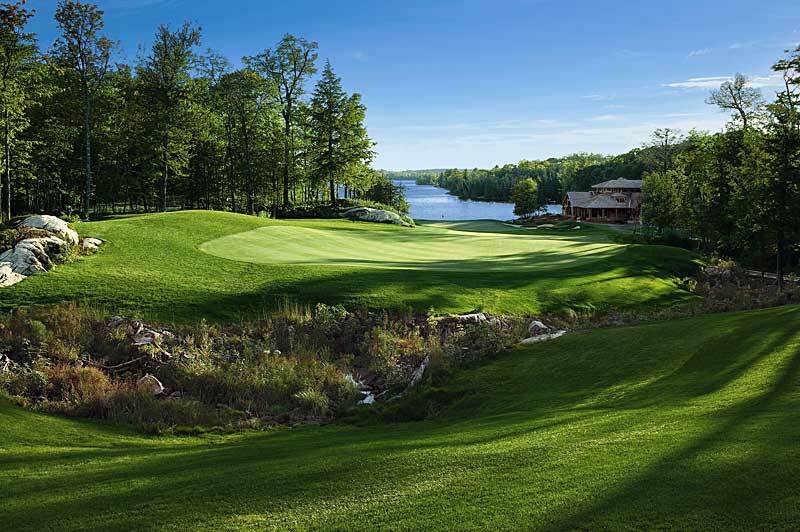 • Clevelands House in Muskoka, has its own ‘executive 9’ which is great for families and this year it is also packaging with The Rock, the redesigned Nick Faldo course, one minute away. 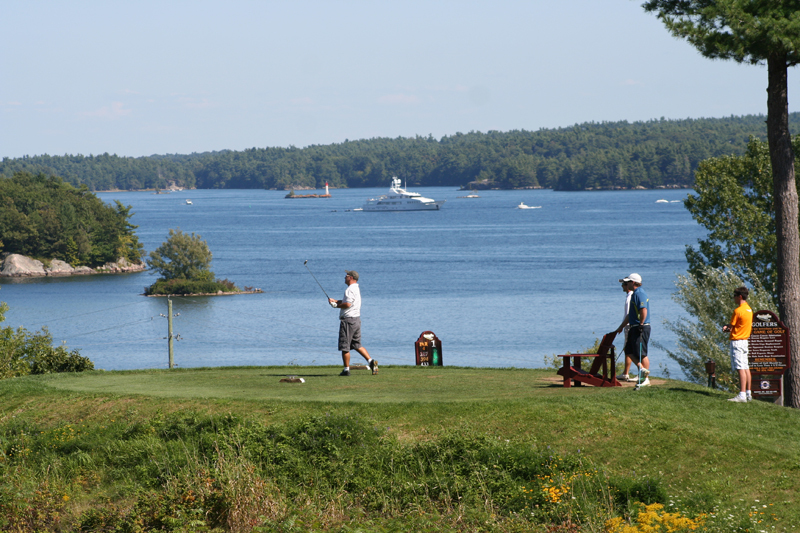 Also in Muskoka, Deerhurst Resort has a new Island & Highlands golf package that includes a round of golf for two at Deerhurst Highlands and Bigwin Island. Its 18 hole Lakeside course is also good for families. 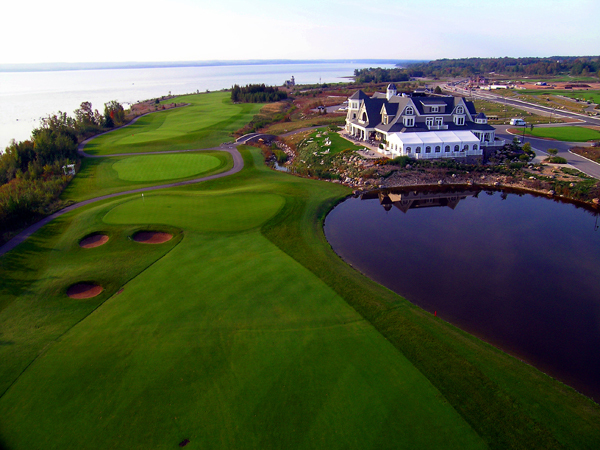 • At Bayview Wildwood, guests can opt to play two out of five courses on a two-night package offered all summer long with dinners and breakfasts included, starting at $344pp/do. 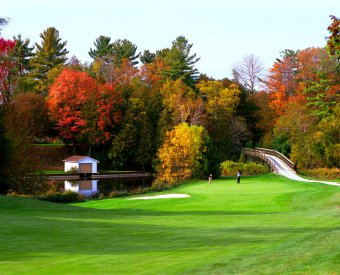 The choice of courses are: Hawk Ridge, South Muskoka GC, Bonaire GC, Lake St. George GC and Settler’s Ghost. 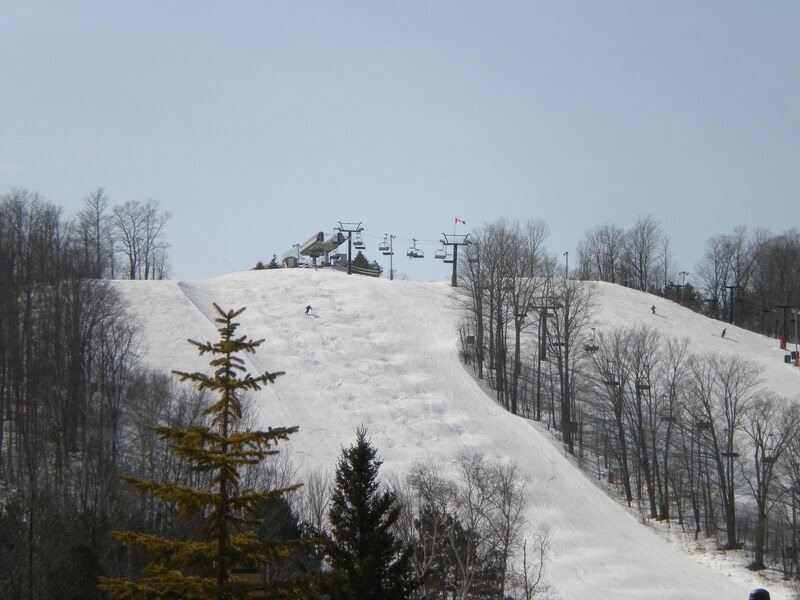 • Closer to Barrie, Carriage Ridge Resort partners with Settler’s Ghost, Horseshoe Highlands with Horseshoe Valley and Hawk Ridge, and has an early spring rate starting at only $89pp/do. • The Briars on Lake Simcoe, has a mid week spring special that includes two nights, two breakfasts and two rounds of 18 for just $129 per person per night based on double occupancy. Cart is additional. 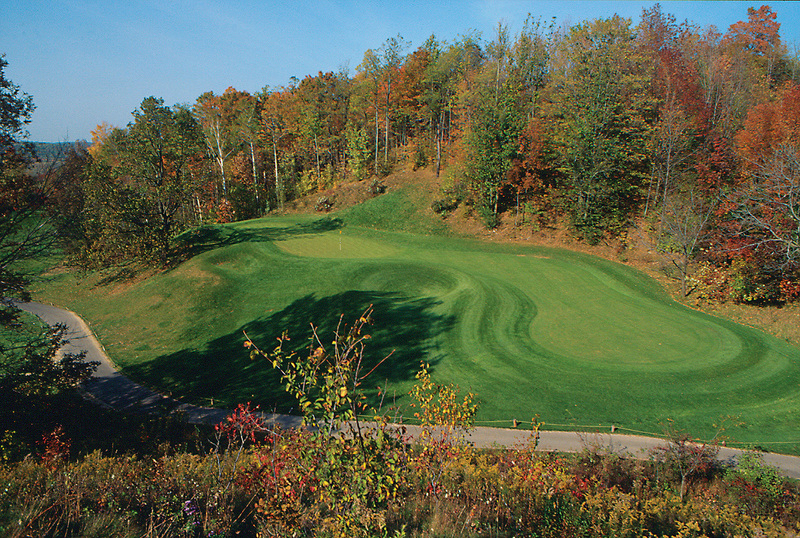 Lots more can be found by clicking on “Golf” at Resorts of Ontario.